There’s nothing better than curling up to a warm bowl of goodness on a blustery night, but we can all admit we probably spend less time than we’d like prepping these comfort food favourites. The solution? Hours of cooking over a low heat means that meat becomes fall-apart tender, rich flavours develop and — best of all — there’s no need to stand over a hot stove! 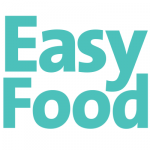 Sit back, relax and let your slow cooker do the work for you with some of our favourite slow cooker recipes. This is one that’s easy enough for a weeknight meal but impressive enough for a dinner party. 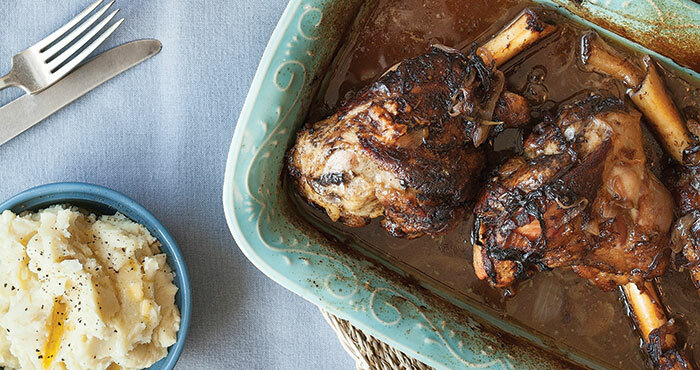 Serve these bad boys with creamy mashed potatoes and a healthy drizzle of the braising sauce. 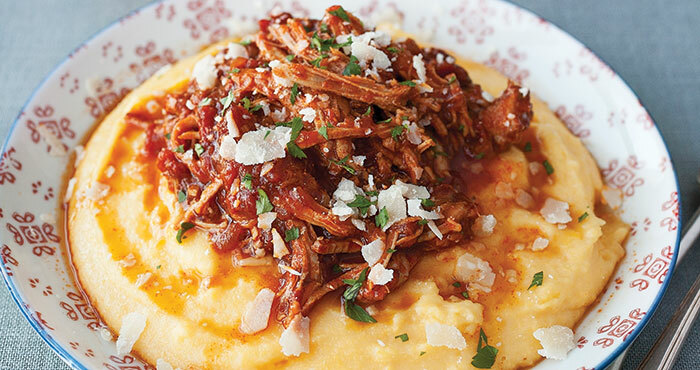 This slow cooker pulled pork with polenta is a stick-to-your bones comfort food. Polenta is maize flour, and this Italian staple is the perfect creamy bed for moreish pulled pork. Budget-friendly lamb shanks hold up well to strong flavours, so onion and rosemary are key here. Be sure to serve with a robust red wine and plenty of mashed potatoes! This French classic is a favourite for a reason — layers of flavour develop from the first fried bacon lardons to the sautéed mushrooms and rich wine sauce. 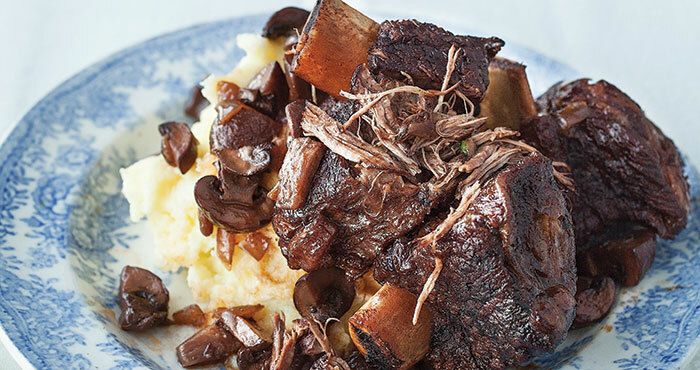 Heart-warming braised oxtails take many of us back to our childhood kitchens. 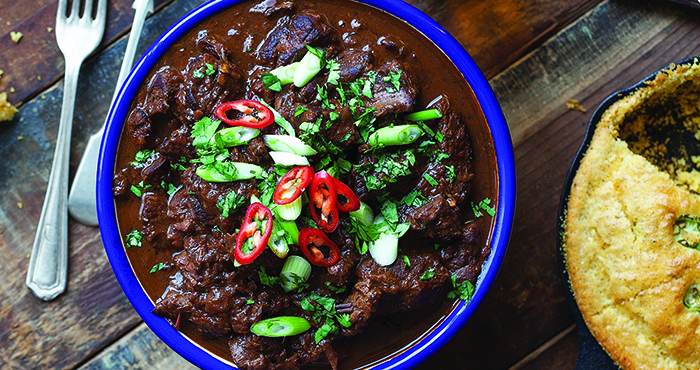 Oxtails are cheap as chips and absolutely packed with flavour. Just be sure to discard the bones! When a recipe is this good, there’s no need to rush. 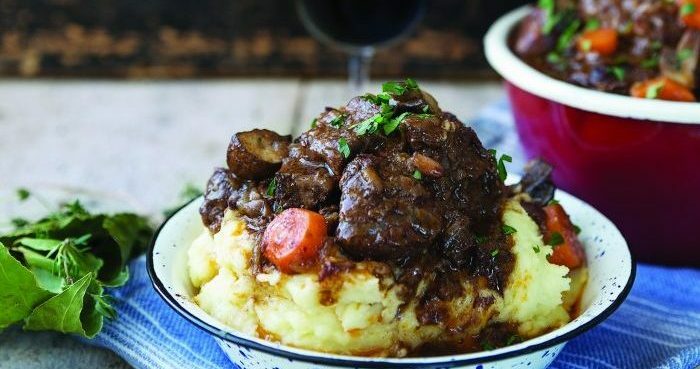 This braised beef cheeks take about three hours to reach pull-apart-tender perfection, but they’re worth every minute. 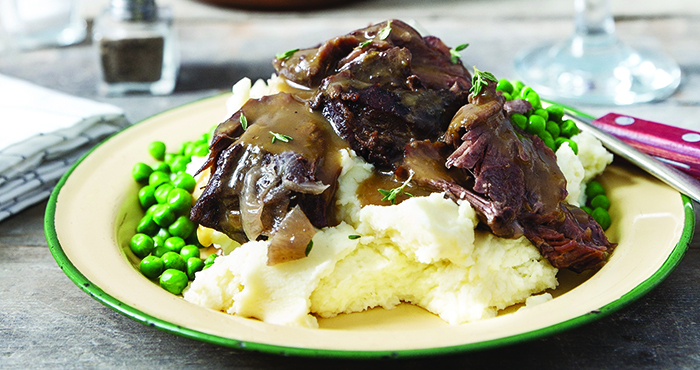 Game is ideal in winter — these seasonal meats are economical, full of taste and hold up nicely to rich winter flavours. 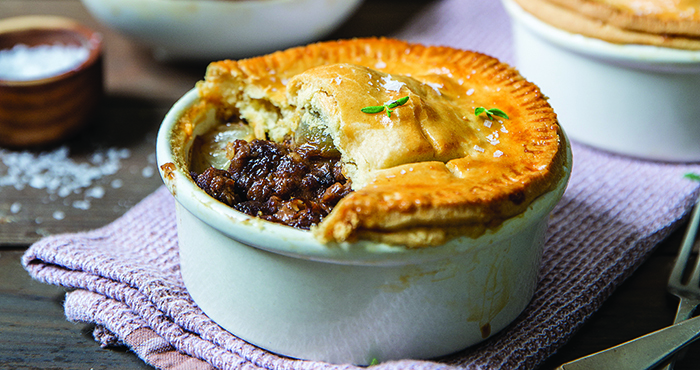 This easy game pie is a lovely introduction to game, or a real winner to connoisseurs. This fiery vindaloo curry is packed with fresh ginger and spicy cayenne pepper — make sure to have plain natural yoghurt on the side to cool things down! 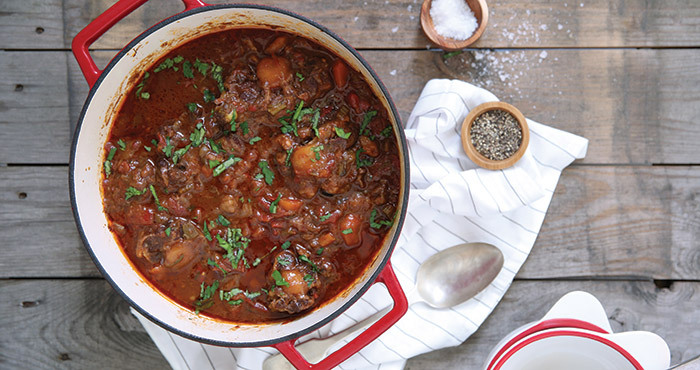 This slow cook stew tastes as delicious as it looks. 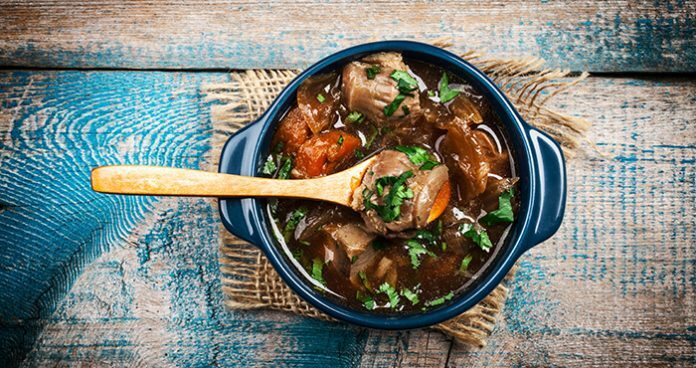 Although milder than other stews, this rustic stew gets a jolt of rich flavour from an unexpected ingredient — dark chocolate! 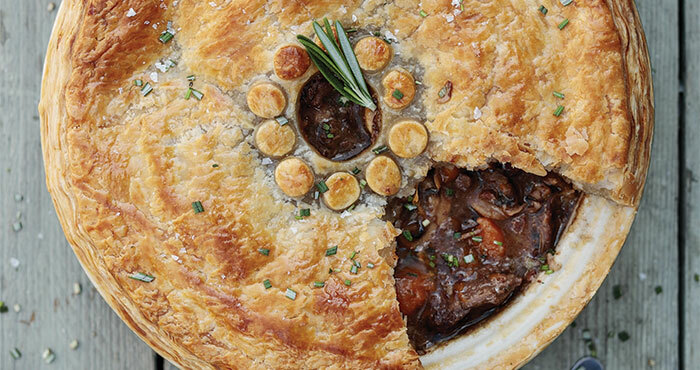 This super-luxe rib pie is filled with boneless short ribs, tomato purée shallots and garlic cloves. Topped with a golden, buttery pastry lid, this is one winter dish we don’t mind hibernating with.